Named after the mighty Waikato River, this rich agricultural region is also home to the country’s best thoroughbreds, and world-renowned Hobbiton village. 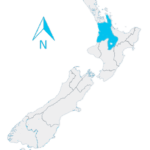 With Hamilton, the country’s fourth largest city, in its center, the Waikato is a lush, fertile region. Its prime location in the heart of the North island provides incredible features such as beaches, forests, horse races, a very active dairy hub, incredible trout fishing spots, or Tongariro National Park, one of the first nature reserves in the world. Historically, the Waikato was home to one of the largest Māori populations in the country. Nowadays, with two international airports and easy access to oceans on either side of the north island, the region’s strategic location promotes import and export activities. A very young and diverse region today, the Waikato is home to over 400,000 people, with just under 150,000 living in Hamilton and 17% born overseas. Although its location is strategic for business, the Waikato is also a region of choice if you enjoy peaceful rural tranquillity, or what we call “lifestyle living”. For those enjoying urban life more, Hamilton city has a very decent cafe scene, with bars and restaurant developing quickly. The Waikato is relatively temperate, reaching 23-27C in summer and experiencing the occasional light frost on crisp winter mornings. 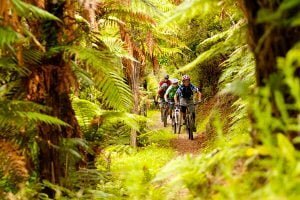 For visitors and locals alike, highlights include Raglan, a major surf spot, Zealong Tea Estate – the only tea plantation in the country-, or majestic Tongariro National park. 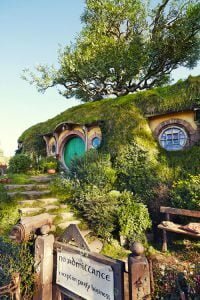 Overseas visitors will not want to miss world-renowned Hobbiton, movie set for the Lord of the Rings’ movie trilogy, or Waitomo’s glowworms caves. Major roadworks are being undertaken north and south of Hamilton, which should shorten commuting to/from Auckland and link south Waikato better, enhancing business opportunities further. But without even thinking import/export, Waikato jobs opportunities are numerous. The region is home to New Zealand’s leading agri-science research facilities with skilled R&D positions being consistently abundant. Waikato University and Hospital are also major employers. The dairy industry is always looking for skilled workforce while tourism is particularly strong around Taupo region.